Let’s go to Boga Lake!!! People love to travel. And if it’s with our friends then it’s much more enjoyable. Especially we love to travel with our friends in adventurous places. What would be more adventurous than boga lake in Bangladesh? 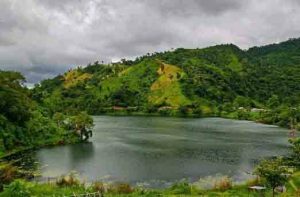 Now I am going to tell you about Boga Lake which is in Bandarban. If you are planning to go there you need to be physically enough strong. If you don’t like to walk much and don’t have any experience of trekking then think once more before planning to go there. As you know that Bandarban is a hill track area so it would be wise if you are mentally and physically prepare yourself to that way. Don’t be scared by this advice because trust me when you will reach there, the nature of Bandarban or Boga lake will mesmerize you by its charming beauty. Everything will be worthy enough when you will be there.